Here is an excerpt from the Table of Contents, followed by the conclusion. The next decade will be one of fundamental change for businesses in the UK and the actions business takes will begin to have a significant impact on the shape of the UK economy. In ten years time, businesses will typically be involved in a range of collaborations, partnerships and joint ventures, supporting investment finance, R&D and innovation, training and new organisational structures. There will be much more rigour in identifying investment and innovation projects for funding and businesses will have outsourced the next level of activities, including many specialist tasks. The workforce will be more diverse, highly flexible and mobile, making the most of new ways of working and using more business-relevant professional skills. This will leave organisations focused on a smaller core of people and projects, supported by a much wider range of individuals and businesses around the periphery. Building and maintaining trust with business partners and the public will become critical to the smooth operation of these structures, and compliance with governance and sustainability standards will be a major objective. Effective management will be the key determinant of survival and success. Towards the end of the decade, some key aspects of the UK economy may ultimately fall under the control of overseas governments, and as market opportunities shift, current prominent businesses in both services and manufacturing may move substantially overseas. 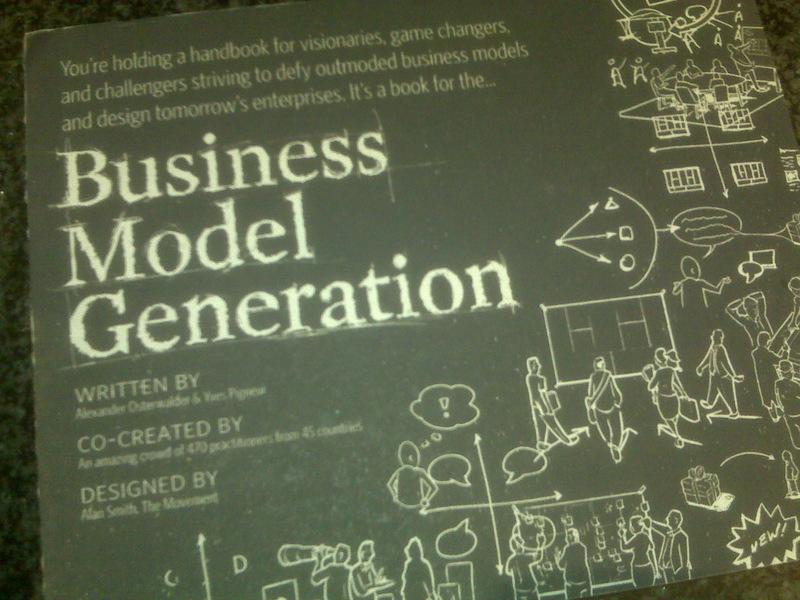 It was exciting to open the mailbox tonight and see my copy of Business Model Generation. I first met co-author Alex at LIFT in Geneva. He and his colleagues have performed much work focused on the aspects of business model creation, and in particular financial services. I was fortunate enough to be involved in a small way when Alex opened up the creation of the book online to what became 470 other online participants. The result is fabulous and a different kind of book … its more of a handbook for your business model. I have been speaking here for two years that banks need to re look at their model. The current mid/post crisis situation for banks is dramatically different for them, when compared to the situation when they entered the crisis. The nature of consumer demand, and the mix of product requirement is different. Consumers are paying down debts, and taking a longer view of their finances. At the same time, Banks are looking at tighter liquidity requirements, and higher capital requirements all of which play into their ability to manage new product volume. Cost cutting will not be enough …. it will require drastic cost elimination in many cases to re-orchestrate the business model for the new normal. In this atmosphere, the old business model with tweaks will not, in my view, be enough. Amongst the financial utilities who are managed by government there is a real need and opportunity to become the innovator in financial services that is recognised by customers for being with them in this new world. It is a differently laid out book, and it is more of a handbook than a reference text. It is the kind of book you will retain on the office bookshelf and pick up often. 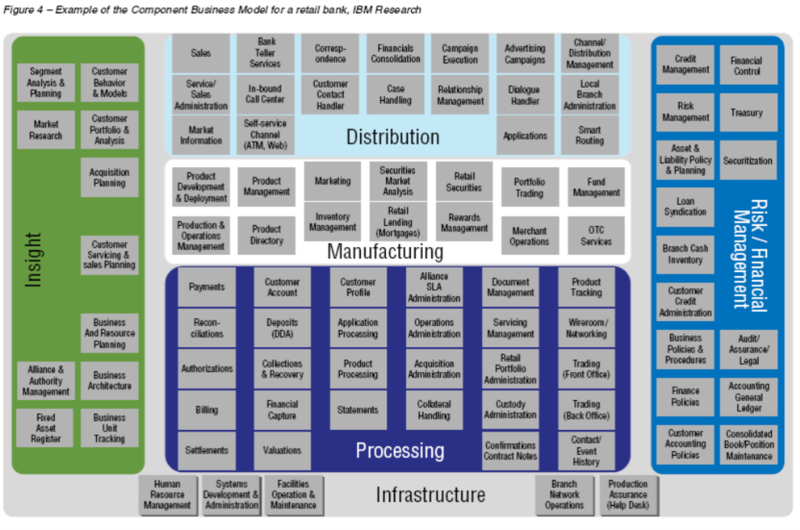 This is the perfect time to revisit banks’ business models, and Business Model Generation is in my view a great place to start thinking about that. I recommend it, and there is a complete 1st chapter available to download so you can decide for yourself. Well done Alex and Yves. PS .. in deference to the American FTC and their new requirement announced today, that people should believe what they say, ahem, I note that I believe the above and am not remunerated in any way. Go Alex! Umair zeros in on a real point that is precisely correct. The point here is not what you may or may not think about prezi … the point is what prezi’s users think. Then relate that to what customers think of your bank’s products. Everybody’s searching desperately for business model innovation: Detroit, newspapers, record labels, banks. No market is left untouched, no value proposition sacrosanct. Yet, the best business model in the world is also the simplest: make stuff that’s insanely great. Stuff that’s insanely great does what Prezi does — amazes, enriches, and inspires. That kind of stuff doesn’t need a hard sell, a new market, or a convoluted product range. It just needs to be. There are some dramatic proposals contained in the upcoming white paper from the Conservatrive opposition [UK] this week. They make sense and go to the core of the flexibility that allowed banks to become too speculative. They address leverage, and the investment banking/ retail banking integration challenge. The Conservatives are larely expected to win the next election, sometime in the next 12 months. He will be clear, however, that the Bank should have powers to order banks and other financial institutions to hold more capital when times are good, so that they are well-placed to cope with the losses that arise during downturns. These counter-cyclical capital requirements, one version of which was the so-called dynamic provisioning used for Spain’s banks, are seen by Mervyn King, the Bank governor, as an essential part of the “macro-prudential” toolkit. The most controversial part of Osborne’s proposals, however, will be his response to the “too big to fail” problem for banks. He is expected to back King’s view, set out last month, that large and complex banks that combine retail banking with risky investment banking, should either not have their deposits guaranteed by the taxpayer or be discouraged by even larger capital requirements. Osborne will make clear that he believes some banks were allowed to become too big. He will give the Bank the powers to intervene – and, if necessary, break up – banks whose size and structure threatens financial stability.